Future Communications Future Communications Yes, I am happy for you to contact me via telephone. Yes, I am happy for you to contact me via email. Sometimes it may be necessary for you request an emergency appointment. If possible, please can you please call the reception team as near to 8.30am as possible, so that we can help organise an appointment as soon as feasible. Patients who don’t attend our clinic on a regular basis, or are new to the practice as an emergency, will be charged £75.00 for the emergency appointment. Treatment costs will be in addition. An out of hours call out charge for our existing regular patients is £100.00, for non-registered patients it is £150, with any required treatment costs in addition. Please call our main reception line for advice. 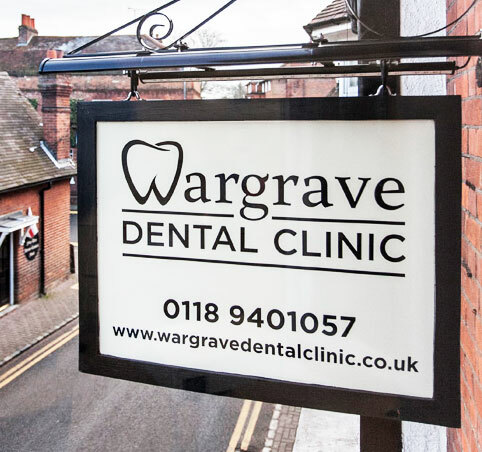 We are situated in Wargrave High Street. Parking is available nearby (less than a minute walk) , in School Lane car park, behind the Greyhound pub. Pay and display charges in this car park are 50p for up to one hour and 60p for up to two hours and £2 for up to 4 hours. Subject to availability there are some free car parking bays (up to 2 hours) located on the High Street itself.